The double-digit growth of e-commerce is not slowing down any time soon. Fully understanding the consequences of not responding to this reality, today’s logistics and managers are racing to transform their operations into seamless, digital supply chain networks—and yes, time is of the essence. 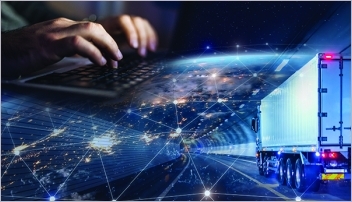 To help Logistics Management readers down this ever-complex path, we’ve gathered four leading supply chain management (SCM) technology analysts to demystify some of today’s “buzz” terms and share practical insight into how today’s operations can better apply the existing technologies that will create a more “intelligent” logistics operation. Research vice president at Gartner. Logistics Management: One ERP vendor recently forecast that by 2020 every company running a supply chain will need to be operating in the Cloud. From your unique position, do you believe that forecast is realistic considering the slow adoption that plagues this market? Steve Banker: There is no doubt that SCM technology is trending toward the Cloud. At ARC, we’re hearing from some suppliers that Tier 1 customers—customers with over $1 billion in revenues—are still reluctant to embrace the Cloud, while other suppliers say that all their customers are moving to the Cloud. At the same time, we’re also hearing that Cloud solutions have been key to suppliers growing their revenues rapidly in traditionally challenging emerging markets. However, it’s not just about what customers want, it’s what suppliers are pushing. One of the largest suppliers in the market has fully embraced the Cloud, and they’re offering financial incentives for customers to take deployment in this methodology—in part because their cost of sales is so much lower. LM: What are the most significant benefits of Cloud solutions in terms of impact on logistics operations? Banker: Cloud solutions are truly standard, off-the-shelf software solutions with no customization—meaning they go in faster, and in most cases 50% faster. In fact, the speed has some interesting ramifications. For example, you can’t argue about the price of software for six months when it’s implemented in three months—a situation that’s clearly improving the supplier/customer sales environment. Another advantage is that Cloud solutions are being upgraded all the time with minimum effort on the part of users to get the enhancements or bug fixes. Modern software is marvelously configurable, and I firmly believe that, today, software should almost never be customized. LM: What do you say to logistics professionals who remain skeptical about data security? Banker: Data security is indeed an issue; however, if companies are honest with themselves, they’ll understand that their internal security leaves a lot to be desired. The big server farms where these solutions are hosted can be hacked, but they probably have more security in place than the large majority of companies. LM: What role do you see the Cloud playing as logistics and supply chain managers work to close the technology gaps in their global supply chains? Banker: Extended supply chain visibility is best provided by a public cloud architecture. These network solutions have public master data that makes connecting to and collaborating with other companies that are part of the network much easier. 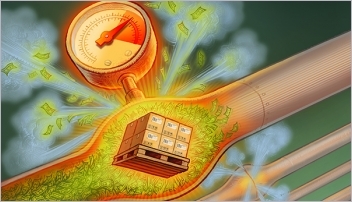 As goods are contracted for, shipped, go through Customs, received and paid for, the network is tracking each step. The number of members and transactions in the existing network becomes a key differentiator of the different visibility solutions. LM: If that 2020 prediction comes true, can you give us a hint of what a modern logistics and operation that’s exclusively in the Cloud might act like? Banker: Well, by using network data, you can do advanced forms of predictive analytics that you can’t do with traditional solutions. You can also use the data to help members benchmark their operations while still protecting the integrity of any one member’s data. But ultimately, it’s about more than Cloud. Traditional solutions have been built to optimize the operations of an individual company; but today, with our global supply chains and critical supply chain partners doing more and more of the heavy lifting, that architecture is becoming less relevant. We need to combine supply chain networks with new forms of optimization that optimize across extended supply chains. LM: The evolution of e-commerce has understandably forced many retailers to focus on the up-front ordering experience. At the same time, retail logistics operations have had to put a strong focus on the all-important last-mile delivery. But what’s often overlooked is the process in between. Has the integration of TMS and WMS been overlooked? So far, retailers have focused mostly on customer-facing initiatives like ordering through multiple channels and last-mile delivery. For intelligent commerce to truly work, the overall enterprise must have a view into all demand, supply and inventory across all channels. An integrated system enables this view, while an intelligent system goes further and enables companies to make profitable trade-offs between demands from each channel. LM: So much is being said about the role the Internet of Things (IoT) will be playing in logistics and supply chain operations—especially retail. Can you offer us a practical look at the elements of IoT and the role they may play? Fulk Lago: IoT, and other related sensor-based technologies are fundamentally changing the consumer experience both inside and outside the store. Retailers are able to more pervasively experiment with the customer experience while respecting privacy through everything from electronic shelf labels with dynamic pricing and self-checkout with smartphones to interactive digital signs that can tailor promotions to the individual. In addition to potentially revolutionizing customer-facing processes, IoT technologies are playing a big role in retail supply chain and delivery operations. In addition to enabling inventory visibility across the enterprise, IoT is now being used in loss prevention and can record damage to goods in real-time at the exact location, thereby providing an audit trail to identify the responsible party. LM: What are some of the biggest advantages of improved TMS/WMS/Big Data/IoT integration, and what then is the effect on how last mile delivery is executed? Fulk Lago: Improved TMS, WMS, Big Data and IoT based technologies are helping retailers to further automate and optimize their supply chains. Anyone can avoid running out of a key SKU before a big foreseen event creates a surge in demand, but the real question is how to handle an unexpected surge in demand due to an unforeseen event. Getting the “right” SKU on the “right” shelf, despite a breakdown or an unexpected event, is only possible with a highly responsive IoT-enabled supply chain system, shelf sensors in the stores, and warehouse systems that automatically re-order products when inventories reach certain levels. On the supply side, by using IoT and other similar technologies, retailers can increase inventory accounting accuracy, dramatically reduce out-of-stocks and reduce product loss—all of which result in margin growth. LM: Can you walk us through a practical example of how a logistics operation might act when it’s systems are fully integrated and optimizing data? Fulk Lago: As we move toward a more fully integrated and optimized reality, these “intelligent” systems will begin to manage the supply chain planning and decision-making process. We will become less reliant on human interaction, and retailers will be able to leverage business rules engines that evaluate and select the optimal fulfillment and reverse logistics strategies for each channel and each order to enable profitable and intelligent omni-channel commerce. For example, a number of retailers generate profits from e-commerce demand by converting direct-to-consumer transportation into a profit center—and, as a result, off-set the increased transportation cost. All the while, these retailers minimize inventory costs by reducing the number of stocking locations to one or two DCs for the e-commerce channel. In this case, retailers only end up passing the increased transportation cost to the end consumer. A true “intelligent commerce” solution, however, should be able to fulfill consumer demand from the nearest point where inventory is located, which, in the case of a brick and mortar store, should be the store itself. LM: From your experience inside DC facilities, where do you see managers putting their focus in terms of automation, software and enabling technologies? Norm Saenz: Many companies are seeing a spike in e-commerce volumes and even a shift to e-commerce being the primary volume moving through their once growing retail business channel. Initially, handling this shift to e-commerce volume growth was accomplished through using the same pick location for multiple channels, or setting-up a small area within the facility for processing e-commerce. However, with sustained growth in e-commerce, most are realizing that a more efficient operational design is required; in fact, they’re looking to use more automaton and technology to support their e-commerce volumes. Setting-up separate pick aisles with shelving and carton flow rack using mezzanine structures with cart picking is a step-up in technology for many. Higher volume operations are using pick-to-tote and put-wall systems, or picking directly into the shipping box or envelops using voice or pick to light systems. LM: Which technologies are proving to be most vital? Saenz: The area of most growth is the use of put-wall systems. These systems can be set-up to batch pick from the picking area using totes that are diverted into a separate put-wall system for e-commerce fulfillment. This can be done for multi- and single-line orders that are pushed through to packaging stations. LM: What new “buzz-worthy” technology are you actually seeing in action? Saenz: At some point, drones will be flying in warehouses, and virtual-reality-type technologies may enhance productivities. But, while these new technologies offer promise, there are a multitude of proven technologies available today that are making big improvements in operations. Having the right size pick locations, an efficient material flow/layout, and best practice methods are keys regardless of any fancy technology. Once these basic principles are established, then applying voice technology, pick-to-light, goods-to-person systems, conveyor technologies and put-walls can be evaluated. LM: The software layer traditionally known as a warehouse control systems (WCS) is evolving into what many suppliers are calling warehouse execution systems (WES), as users try to find better ways to coordinate resources around the pressures of omni-channel fulfillment. How will we see WES continue to evolve? Saenz: There are many different systems architectures being used across the industry. Many are operating with some basic ERP and aging legacy warehouse systems, with little to no automation requiring controls logic. Others have added automation and found a way to integrate their ERP and legacy warehouse systems to WCS applications. As companies evolve and increase automation, there may be multiple WCS applications speaking to the legacy systems. I believe the growth in companies using more automation and the resulting complicated systems architecture drove the WES buzz. At first, WCS companies began to expand their capabilities to reach into the WMS realm, and at the same time, WMS companies looked into controlling automation. Now, WES is a strategy to combine the WCS/WMS into a more streamlined execution systems platform to manage the automation. LM: What’s the best advice you can offer a DC operation that’s working hard to keep up with the pace of new omni-channel fulfillment demands? Saenz: Base your decisions on SKU level (historical and projected demand) and analyze this information to determine the optimum solution for your e-commerce business. LM: You’ll be presenting the findings from Gartner’s study at your annual conference at the end of the month. What are some of the key themes that will help logistics professionals stay ahead of the digital challenges? Dwight Klappich: Over the past few years, we’ve seen priorities shift from the extreme operational focus on cost reduction at the height of the recession to companies exhibiting more optimism by focusing more on strategic opportunities like growing their businesses, focusing more attention on their customers, or seeking process innovations like digital business or IoT. However, within the study we have the ability to categorize respondents by supply chain maturity, and we find marked differences in focus of lower maturity organizations versus higher maturity organizations. For example, Level 1 maturity supply chain organizations have process improvement, cost reduction and improving efficiency as their top three goals. Level 4 and 5 maturity organizations, on the other hand, have business growth, process innovation and process improvements in their top three in order. This clearly indicates that for supply chain organizations to become more competitive and raise their maturity they must reorient their focus from operational considerations to broader more forward looking and strategic initiatives. 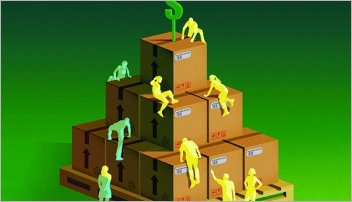 LM: The omni-channel fulfillment imperative has presented new obstacles for everyone. How are shippers doing in terms of making their digital transformations? Klappich: This is another example of the widening gap between low-level maturity supply chains and very high-level supply chains. For example, in our study we found that high-level maturity supply chains were nearly five times more likely to have funded digital business initiative in 2017. Similarly, low-level maturity companies were a third less likely to have funded IoT projects in 2017. We find that high-level maturity supply chain organizations recognize the importance of collaboration and are nearly twice as likely to have funded customer collaboration projects this year. Furthermore, our research reveals that multi-channel commerce concepts are rapidly evolving beyond retail, and we see an increasing number of non-retailers investigating how these concepts can be applied to their businesses. For example, one Gartner client makes home-goods and sells both through traditional big box retailers for its commodity products, but also through a large number of local independent distributors for its luxury brands. They were considering how they could apply multi-channel-commerce-like processes to their distributors where they could share inventory visibility across the network and where possible cross sell inventory. LM: What advice do you have for those logistics operations whose digital transformation has stalled? Klappich: We have found that supply chain performance is strongly correlated to the type of relationship the supply chain operation and IT foster. Under-performing companies tend to have parochial or contentious relationships between supply chain and IT, as opposed to leaders that have strategic and highly collaborative relationships. Additionally, we now find that innovative firms include IT roles as part of the supply chain talent mix. This might sound trite, but in an era of digital business, the lines between what was historically the responsibility of the IT organization and what is the responsibility of supply chain operations is blurring. Because digital business is technology-enabled business, companies that do the best at blending the roles of IT and supply chain will lead in digital transformation. LM: What is the new mindset that logistics and supply managers must have to thrive in the digital era? 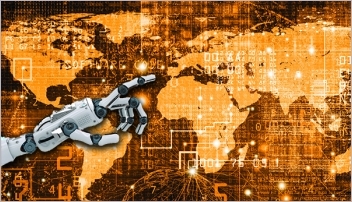 Klappich: Given the rise of digital business, the IoT and smart machines, supply chain organizations will increasingly blend the roles and skills of IT and traditional supply chain management—and one without the other will not be enough. At a high level, my observation from this year’s study is that supply chain organizations must focus on three things to thrive in the next decade. First, they must refocus on the future and stop falling back on what they know best: how to slash costs. What they now need to do is focus less on what they’re good at and put more effort into re-imaging their supply chain organization. This leads to the second observation: Lower performing organizations are the most likely to favor Mode 1 only behavior, which suggests that they’ll struggle to keep pace with the rapid changes in the marketplace. Third, the convergence of traditional supply chain and IT functions says that the type of relationship these groups foster will also be critical to survival. Pursuing a digital business, multi-channel commerce or IoT initiative with a contentious supply chain/IT relationship is a recipe for disaster, and projects will more than likely fail to live up to expectations.